From Scott Joplin to Florence Price, the music of these brilliant composers has too long been neglected in Western classical music tradition. In Black History Month, we’re celebrating the most famous and influential black composers in classical music history. Dubbed ‘le Mozart noir’ (‘Black Mozart’), the Chevalier de Saint-Georges is remembered as the first classical composer of African origins. 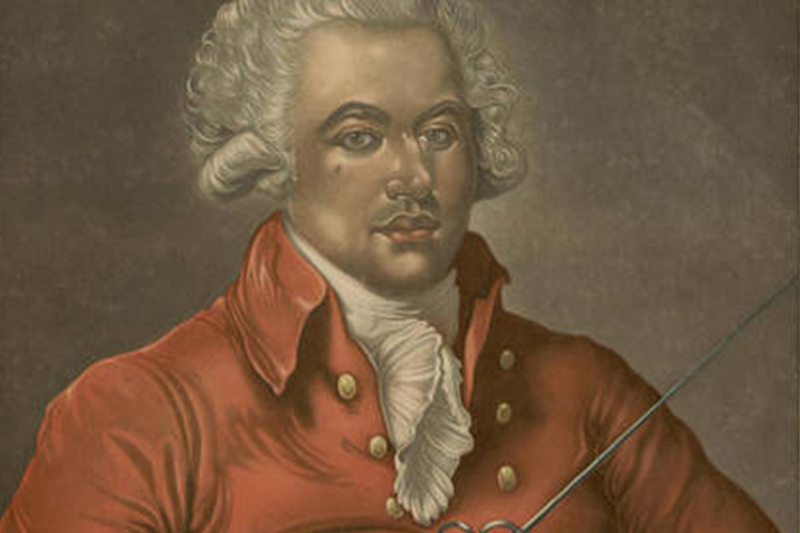 Born to a wealthy plantation owner and his African slave, Saint-Georges was a prolific composer who wrote string quartets, symphonies and concertos in the late 18th century. He also led one of the best orchestras in Europe – Le Concert des Amateurs – and former US president John Adams judged him “the most accomplished man in Europe”. Mozart, who at the time of Saint-Georges’ success was struggling to make his own music heard, envied him. There is a popular theory that Mozart, as well as swiping one of Saint-Georges’ ideas in his Sinfonia Concertante, used his jealousy to fuel the creation of the villainous black character Monostatos, who appears in his opera The Magic Flute.